Information in the hands of a few has existed for a very long time. But in society today, this has corrosive effects, gravitates towards inequality, begins to be unacceptable, and leads to corruption. The blockchain technology allows the decentralization of information, as a consequence, the power is atomized in all users of the system, so that none can exercise it unilaterally. This supposes a change of paradigm; the information belongs to everyone. With blockchain, a few individuals will not be able to control the financial system. In line with the concept of decentralization of information, one of the fundamental principles of Blockchain is Distributed Ledger Technology (DLT). This means that no single document is maintained by a single agent (a bank, a governmental institution, etc.) where all transactions are recorded. Each user (also called a node) maintains its copy of the transaction log. This brings significant advantages: since the existence of a central agent is not necessary, the system becomes more transparent. In addition to reducing the expenses of intermediaries and increasing the speed and agility of transactions; it also gains in security and incorruptibility of the system. There is no longer a single central document susceptible to being altered fraudulently because as many of them as users exist in that system. Falsifying a transaction would mean simultaneously altering thousands or millions of documents. That blockchain technology is the technology of the future. Nobody doubts it in the financial sector. All banks and related companies are investing and preparing for this technological revolution that is only comparable with the appearance of the Internet in our lives. The applications are endless, and the revolution is unstoppable. The cryptocurrencies (also called virtual currencies and digital currencies) take advantage that blockchain provides to create fairer and safer monetary systems. 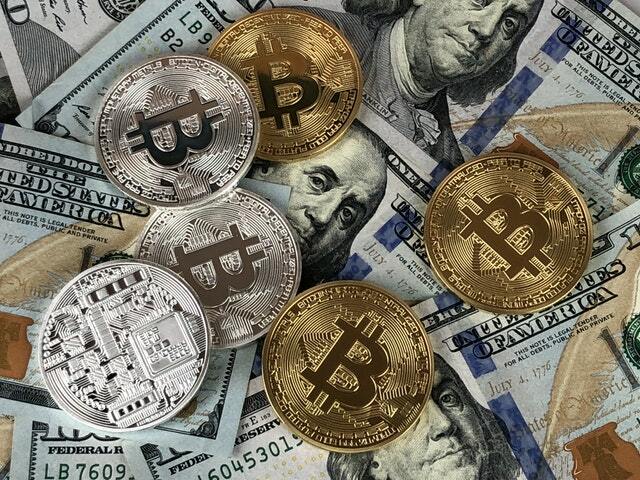 A cryptocurrency can be defined as a digital means of exchange that make use of methods of encryption to confirm funds transfer and guarantee that they are carried out securely. Cryptocurrencies are created and stored electronically and, given the nature of blockchain and DLT, are independent of a central bank. Each transfer of money is reflected in the chain as a new block. For a block to be added to the chain, its authenticity must first be verified, which is achieved through complex mathematical operations. Each block contains encrypted references to its previous and subsequent blocks. Additionally, the records of all the nodes in the chain must contain the same information. Otherwise, the block cannot be included in the chain. This set of measures gives cryptocurrencies greater security than they have to other means of exchange. You can hire blockchain developers by contacting blockchain companies. It is more than evident that any financial system will always change over the years, mainly because certain situations always occur that can quickly turn the economy around 180 degrees. Cryptocurrencies appeared because of the financial crisis that previously broke out. Specifically, it was the Bitcoin that opened the doors of a world completely unknown to us until now. It was then presented as an alternative to the traditional currencies, which had been devalued enough due to the financial crisis and a new digital system was beginning to expand, with which to safeguard our capital and not be affected by the consequences that this very serious situation produced. With the arrival of Bitcoin and later other cryptocurrencies, the world economy began to change. The digital currencies are taking a pulse to the traditional currencies, thus impacting the global financial system and presenting themselves as possible currencies of the future. You can contact blockchain companies today to hire blockchain developers. Can cryptocurrencies shake the foundations of the global economy? Cryptocurrencies have been presented as a perfect alternative for traditional currencies. The main reason why digital currencies are increasingly popular is that they are within a decentralized system whose activity is not regulated by any public body. It is the most important difference concerning traditional currencies since the value of these will always be determined by a financial institution. What happens in times of crisis? Basically what human has experienced in recent years is that the currencies of different countries were devalued. Some even fell into a tailspin and results in capital and investments losing their corresponding value. What advantages and disadvantages do virtual currencies have? If you already know what cryptocurrencies are, you can already know more about digital money. Here you can find all the pros of cryptocurrency that we can observe nowadays. It is convenient to know them before entering the world of digital money. Hire blockchain developers by contacting blockchain companies. Cryptocurrencies have some advantages that make many people in the world already using them. • The payments made in cryptocurrency are formalized instantly. Also, there are no intermediaries. Transactions are made from one person to another. • Making payments using cryptocurrencies is very simple. All you have to do is scan the QR code of the person who is going to make the payment and indicate the desired amount so that it can be done from any mobile phone with Internet. Also, they can be used from any country. • The taxes included in each transaction made in virtual currencies are minimal. Also, the fees to send money abroad are also minimal. You can contact blockchain companies to hire blockchain developers. • The cryptocurrencies are decentralized so that no country or institution can manage to control them. • The cryptographic systems of virtual currencies are extremely secure, to such an extent that, for now, no cryptocurrency has had any security flaws. • One of the main advantages offered by cryptocurrencies is that of the privacy of users who own them since their names are not public, unlike what happens with accounts and credit cards. Despite this, it should be noted that all transactions made are permanently registered in the blockchain each cryptocurrency. You can meet with blockchain companies to hire blockchain developers. Guest article written by: Kenneth Evans is a Content Marketing Strategist for Top App Development Companies, a research platform for top app development companies in the world. He has been contributing to various blogging platforms and Forums. Very good article and covered all the points in this. This explain everything about the blockchain and cryptocurrency. Keep sharing and posting articles like this. Thanks for sharing. Blockchain technology that underpins the use of cryptocurrency no doubt is inevitable in years to come with its underlying benefits, better transparency, no reliance on 3rd party as intermediary, lower transaction cost, seamless and quick settlement, etc. Good choice as an alternative investment as well that does not correlate to traditional investment offerings like stocks and bonds. Before pursuing these routes it is important that you educate yourself before investing. There are various resources online who can guide you better and help you get profit. Very informative blog shared. Thanks for sharing this.